Mr. 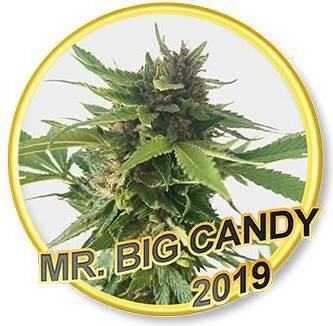 Hide Seeds® is pleased to introduce our new genetics: MR. Big Candy. A hybrid of clear predominance Indica and with medicinal properties of great notoriety. It is so relaxing and relieves so much stress that its consumption can be considered as pure homeopathy without adverse effects. No wonder, considering their formidable ancestors: Mendocino Purple Kush X Big Bud, two super Indicas whose quality is more than tested. It produces large buds of a delicate purple color, whose hairs are amber. All full of the most sticky resin you can imagine. It is so extraordinary its production of trichomes that look like caramel ice cream. For this reason, Mr. Hide Seeds has baptized it, in Spanish, with the name of Gran Caramelo. 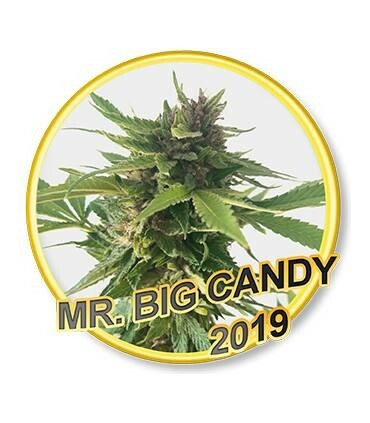 Very sweet, both in fragrance and flavour, our Mr. Big Candy is the closest thing to tasting a fruity caramel. If you want to get the most out of it, both in terms of its effect and its organoleptic delights, use one of our Mr. Hide Extracts® devices to make your own BHO or Rosin. It is considered one of the most relaxing genetics that exist and very suitable for abandoning addictions to benzodiazepines and other legal drugs that we are prescribed in conventional medicine with great addictive potential. Why engage in drugs that, although legal, are very harmful? Consume a good quantity of our Mr. Big Candy before going to bed and you will see how you sleep. And you'll see how you wake up without a chemical hangover. In spite of its relaxing capacity, it also has a euphoric effect that leaves us with a great feeling of happiness. 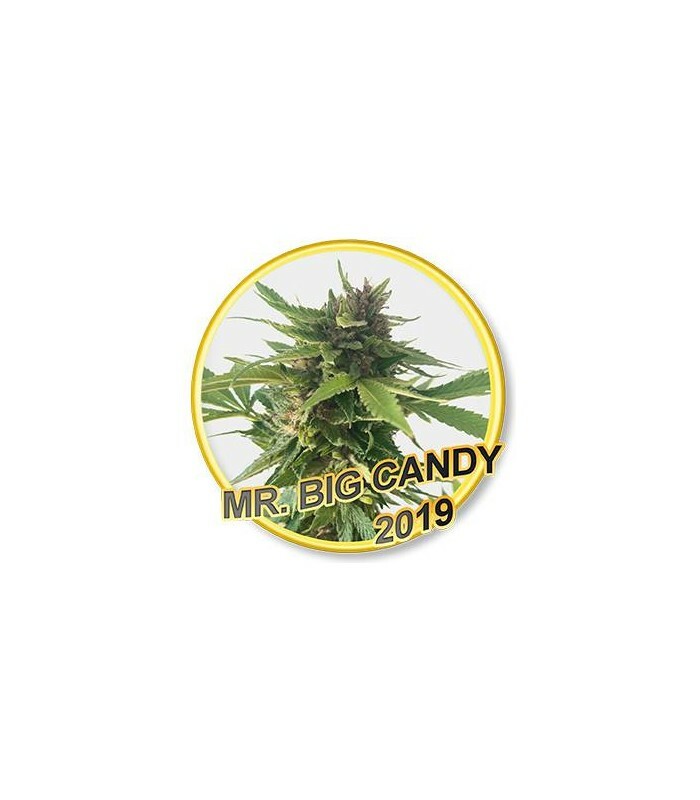 In addition to its medicinal properties, consumed raw (Raw Cannabis), our Mr. Big Candy is considered as "super food", one of the best natural food supplements that exist. Slowly, but without turning back, she begins to wander our mind and body, minutes after the first puff. Little by little, the first visual and auditory distortions that are so pleasing to those of us who love this plant begin to occur. Our perception of time slows down. Usually "high" is introspective and very creative. A perfect genetics to devote ourselves to creative projects, meetings with friends or simply lying down to watch TV. But as time goes by, the most narcotic effects of his Indian ancestry begin to predominate; the moment of total relaxation has arrived. Its morphology is typically conical, like Christmas spruce, with large side buds that envelop a super central bud. It is not one of the most productive, but in good growing conditions, we easily provides the 500 grams per square meter indoors. Properly cured, can reach up to 19% THC. Our Mr. Big Candy is a gift for the eyes, mind and palate.